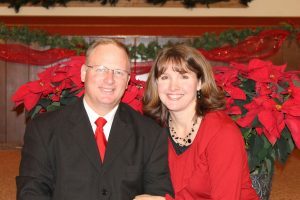 Pastor Kenneth Place while at The Wichita Baptist Tabernacle surrendered to preach under Pastor Art Wilson. In 1956 he was commissioned by that church to start the Bethel Baptist Church in Wichita. Even though he had poor eyesight and had to work at another job, God used him to construct the church buildings and reach many souls for the Lord. Church was organized as a church in March, 1956, with nine members. The church was located at 2170 South Broadway, in Wichita, with Kenneth Place as pastor. Property was purchased at 3600 West Second Street, at a cost of $4000.00. A wing was built on this property, and the first service was held in October, 1957. At this time the church had a membership of 70. In May of 1958, construction began on a new auditorium which was completed in December of that same year and serves as the church’s auditorium at the present time. The bus ministry also started 1958, and continues today. When he resigned the Pastorate in 1962 he did evangelist work until his retirement. He went to be with the Lord on June 7, 1999. Pastor Carl Bush took the pastorate of Bethel Baptist Church in March of 1962. He graduated in the first graduating class at Baptist Bible College in Springfield, Missouri. He held an office in the Baptist Bible Fellowship International and also served as Chairman of the Kansas Baptist Bible Fellowship. Pastor Bush started two churches and pastored five others. He was the leader of the Senior Saints Ministry at Temple Baptist Church of El Dorado, Kansas and after retiring from that position, he still had many opportunities to preach until his death. 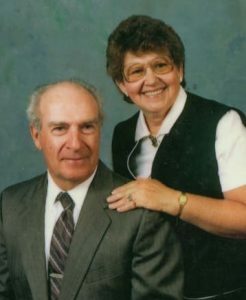 Pastor Emeritus Ted Swope graduated from Baptist Bible College in Springfield, Missouri in 1959. 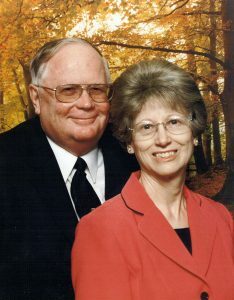 After serving as Assistant Pastor for two years, he went on to pastor three churches before coming to Bethel in 1970. On February 1, 1981, the Church Bond Issue was paid off and the final bond was burned on March 15, 1981 at the celebration of the 25th church anniversary. Sadly, Bro. 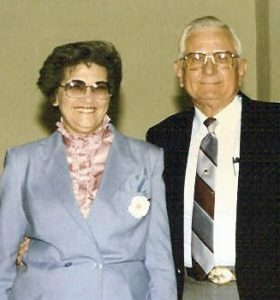 Ted Swope lost his wife, Sylvia, to cancer on November 30, 2005. She was the church’s secretary for many years. Over 600 people attended the two funeral services and viewing held in her honor. Pastor Ted Swope stepped down from the pastorship in 2011 after serving in that position for 41 years, and is now the Pastor Emeritus. In this role, he helps our current pastor by taking some of the responsibilities and helping wherever he can. Many improvements have been made through the years including a new parking lot, a new sign, remodeling of the auditorium and a complete renovation of the kitchen. Bethel has an average attendance of 200 each Sunday morning, and has a Biblical, Spiritual, Conservative, Evangelical and Soulwinning outreach in the Bus Ministry, Music Program, Senior Outreach, Children’s Ministry, Bible Institute, Youth Ministry, as well as Ladies’ Meetings and Men’s Prayer Meetings. The church currently supports 137 Foreign and Home Missionaries with a monthly budget of $7,500.00, having given several million dollars to missions during the church’s 60 years of ministry.
. Our church remains debt free at this time. Bethel has a great past and a great future and our hope and prayer is that we will continue to reach many souls for Christ until He comes to call us home.